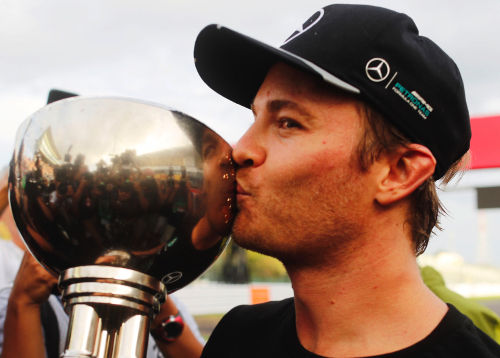 Nico Rosberg is now dominating his Mercedes teammate Lewis Hamilton in every way. That is the claim of Gerhard Berger, an F1 legend who earlier this year helped to negotiate German Rosberg's new Mercedes contract. But the former Ferrari and McLaren driver is not alone in thinking Rosberg is a worthy adversary for Hamilton in 2016, especially given his now 33 point advantage with just 4 races to go. "Nico has defeated Lewis in the head," Berger told Germany's Sport Bild. "He has learned from his previous experiences -- on a level ground, Hamilton is too fast. But Nico unsettled Lewis so much this year that he (Hamilton) has started to copy Nico's success formula. "This has made Nico stronger and Lewis weaker," the Austrian said. "Nico has become so cool and comfortable, and so consistent in his approach at each race, that Lewis began to doubt his own strength. "He suddenly started to change things even if there was no reason," Berger added. Indeed, the report said Hamilton used Rosberg's car setup at Suzuka, and the race earlier started using special seamless gloves used by his teammate to master Mercedes' difficult-to-use clutch system. Sport Bild said Hamilton no longer stays in luxury hotels at European races, but - like Rosberg - sleeps in a motor home at the track, and his also copied Rosberg's approach to having a close-knit track support team and physio. "Because Nico is so precise in everything he does, Lewis has to do the same," team boss Toto Wolff confirmed. BOTTAS NOW KEY TO 2017 SILLY SEASON? BP EYES $30M F1 SPONSORSHIP RETURN?